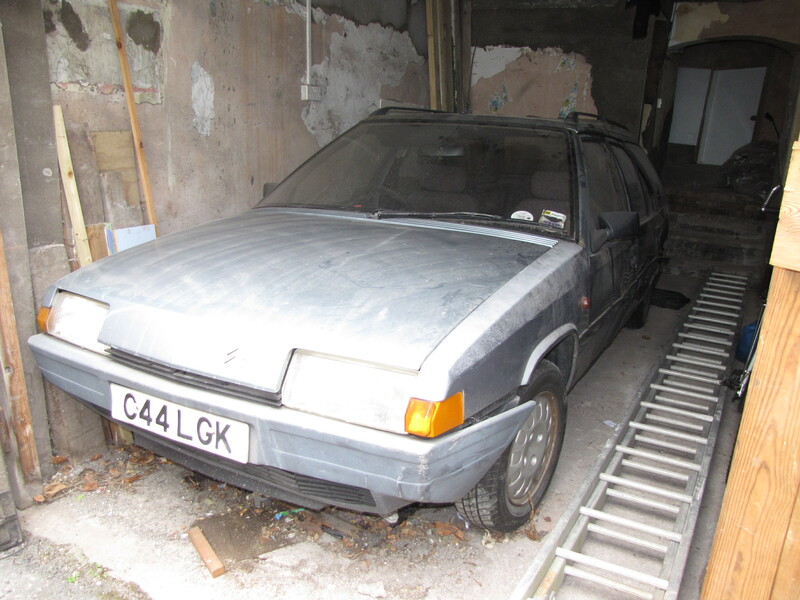 Saving the unloved – Citroen BX Mk1 – HubNut – celebrating the average! I have always found great joy in the cars that the wider public consider rubbish. I’ve been into Citroen 2CVs since long before they were accepted into the classic car world, and ‘desirable’ is a label that rarely attaches itself to one of my fleet. The reasons are simple – if people don’t like it, then it’ll be cheap. Best of all, a bit of bravery often leads you to discover that these ‘shite’ cars are often far better than anyone ever gives them credit for! 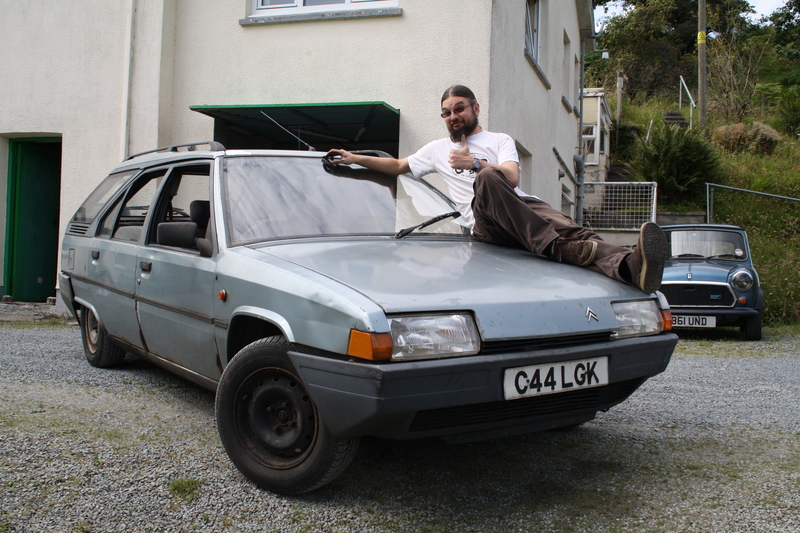 This is how I tried to justify my latest project – a Citroen BX Mk1 estate, with 65bhp of throbbing diesel power. The cream on the cake of shiteness was the condition. There’s barely a straight panel on it and it had been languishing in a Bristol basement garage for over three years. First glance was certainly not promising. The paint is shambolic, the tyres were flat and cobwebs and dust abounded. However, it seemed solid in all the right places – if not all over – and had been in regular use prior to being parked up. That can make all the difference. Three years wasn’t too long to leave it. 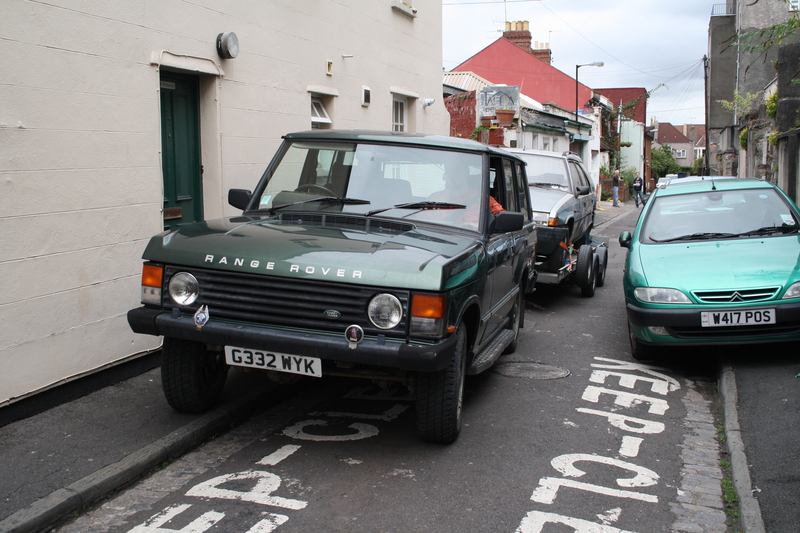 A plan was hatched to collect it, using my Range Rover as a tow vehicle and a hired trailer. My biggest concern was about whether the BX would be prepared to start. Thankfully, the owner had stored the car on blocks – which meant we could get a jack under it if it refused to start. Trying to move a hydraulic Citroen with a dead engine can be a real challenge! The owner’s Citroen Xantia was used to coax some electricity into the BX, and miraculously, it actually started! It took a few attempts, and it ran on three cylinders for quite a while, but nonetheless, the ran and the suspension began to pump up. Getting the BX out of the garage proved a tight squeeze and once it was on the trailer, life didn’t get much easier. It really was a tight little street! Somehow we escaped, and the three hour journey home proved undramatic. The Range Rover proved itself an ideal tow vehicle – it’s Italian diesel engine slogging away quite happily without having to be revved hard. Agricultural but torquey! Getting the BX off the trailer proved a surprisingly entertaining side show for the villagers where I live. The LHM level was a bit low, and the back end of the BX was failing to rise adequately. We overcame this by unhitching the trailer and raising the nose on the jockey wheel. Off she came! I then got to drive my new purchase for the first time, if only down the driveway. The exhaust was blowing very badly – that much was obvious – but it seemed to go well enough. The brakes even worked – not bad after so long in storage! With the car in the garage, I was able to get the wheels off and check the brakes. Yup, a little rusty but working fine. I cleaned them up a bit and left it at that. The radiator was clearly a right mess though, so a new one was ordered and fitted. I still think the fan switch also needs replacing, and the water pump has now also proved itself leaky. New items are on order, along with a timing belt kit. With the new rad fitted though, I could focus on getting the BX road ready. I reckoned it was close to passing an MOT, so with a replacement driver’s door mirror fitted – thanks to Tim Leech of the BX Club, and a few replacement light bulbs, it was time to take her in. Would she pass?! Sorry, this is an old blog. She’s been resurrected and is undergoing further restoration work with a new owner. 2CVs have been accepted in the classic car world since before you were born! That is absolutely not true. When I first got into 2CVs, they were just cheap bangers. They were not regarded with any interest outside Citroen circles. I’ve lived through the change.